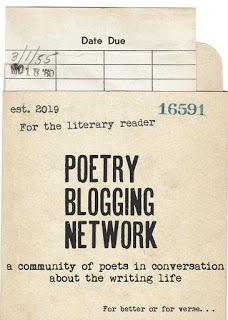 I was over at the Harriet blog and got to thinking about Sina Queryas entries on unexpected poet paths, that road that it seems so many take into being poets. Granted, I do know alot of poets who have gone the teaching route, and some of them have been lucky enough to hit alot of steps on the ladder--MFA/Ph.D, the book publication (sometimes even before the degree), a full-time college teaching position, some nifty prizes and accolades. Alot of them definitely even have a passion for teaching, which no doubt makes it the absolutely right path for them to have taken. I, on the other hand, am a horrible teacher, something that I tried to fight for the longest time, and eventually just gave into. Perhaps it is a combination of a number of things--a touch of social anxiety disorder that makes me not even want to deal with people at all some days (bad if you have a classroom full of students who need you to teach them something). A lack of patience and leadership skills, a bit of control-freakiness, a bit of selfishness.. For years when I was finishing up my BA and well into my MA in Lit, I kept trying so hard to want to do it. My mother expected me to do it. Everyone expected me to do it. What else was I going to? What else was I qualified to do? I'm convinced this unease was what partially brought about the great emotional meltdown of February 1998. Of course, about a year later, the poems started coming like crazy and I knew that the only sane thing to do was to give up on something I was obviously never going to enjoy doing and find something I would. (which ended up landing me in library jobs). But still my path as a poet, even the teaching thing aside is far from that supposedly expected one. I initially started publishing alot of work early on in online journals, back in the day when people still scoffed a little at their legitimacy (sadly some people still do.) I still submit to online journals far more these days, mostly because I think they reach a greater potential audience, but also because I'm lazy and impatient--I don't like having to use snail mail, nor do I like all those SASE's floating around for months. I've also self-published a number of smaller projects, another no-no as I am continually reminded whenever I dare open my mouth about it in public (even with friends). I always felt like an odd bird in my MFA program, where most people were just starting to send stuff out and I had been doing so for at least a decade, and apparently according to some, doing everything wrong. Of course, while questioning the necessity of the things I was supposed to want, it didn't stop me from wanting them and sometimes still do, perhaps the vestiges of a weird desire for validation. At some point, though, while prizes and honors and trendy press publications are nice, I became more interested in connecting with readers, if only a few, and how to go about doing that. The whole notion of "success" they are talking about at the Harriet blog, I think hinges on the writers ability to connect with their audience, and while of those things (prizes, accolades, juicy book contracts) further the possibility of that, they are not essential in any way to the work I, or anyone else does. Perhaps it's a simple statement on their being no right or wrong way to be a poet as long as you are creating and finding your audience whoever they may be and however many rules you have to break to do it. Okay, I guess it's Sunday, but I had a few fun distractions afoot. And okay, apples are technically a fall thing, but I thought that chair was a such a lucsious granny smith color that I made it the theme. It's a little bit spring mixed with a little bit twenties glamour. Several years back, I lucked into a big stack of library giveaways, all poetry, mostly local, and all from the late 70's into the 80's. They had apparently been part of a donation and were likely duplicates of things we had. There was a lot of Paul Hoover and Maxine Chernoff, alot of their Chicago contemporaries. Almost every one of them was inscribed "to Eleanor" and I remember thinking that Eleanor really must have loved poetry, or possibly and very likely had even been a poet, and sadly, since she'd parted with such a meticulous collection, she was probably long dead now. Then today, going through a cart of new books I came across an oddity, a rather great condition* 1954 Norton edition of Rilke's Letters to a Young Poet, which we had apparently, from the depths of the donation room where it had likely lingered the past 8 years, settled on keeping and had been only recently been catalogued and added to the collection. I opened it up to find that a holiday message from someone named Barbara to, you guessed it, Eleanor, dated Christmas 1975. I nearly knocked the cart of books over squealing with delight (okay, I was totally alone, so thank god no one saw me). I am even more curious now. Who was she? Was she a poet? Did she teach here? Go here as a student? hmm..
*Actually as I looked at it, the first page came loose, so I'm not sure it was a good choice in terms of durability, but it's something that can be fixed. There used to be this house along Sheridan just North of Thorndale Beach. I guess house would be an understatement and mansion would be a bit more appropro, harkening back to the days before the highrises when that whole stretch was filled with mansions. Since I never saw anyone around or any sign of life I assume it has been pretty much empty the last 10 years or so, most of the windows boarded, the lot unkempt, the windows dark. It was a beauty though, huge red brick with rounded bay windows on the upper corners. They finally tore it down over Christmas, and since it had snowed over the construction dirt, when I came back from Rockford, it was like it had simply vanished in the snow, no trace that a house had even been there, even though it had probably been standing there for a hundred years or more. They will probably build condos there eventually and I feel so much of this happens in Chicago. One day things just aren't there anymore and maybe some people notice, but things go on, get built over and eventually everyone forgets they were there. I will occasionaly wander through Lincoln Park, where I lived all those years ago, and each time, it seems something drastic has changed. Perhaps becuase it's a city constantly reinventing itself over and over. Still sometimes I wish they would consider keeping a bit of the old around before bulldozing to make room for the new. When I lived in that studio down in LP, the building was even older than the one I live in now and apparently had once been a hotel. Along the wall, where they had situated the kitchen set-up in what looked to have been a closet at one time, there was a narrow mystery door in the hall about two feet away from the actual door which basically, had it not been plastered over, would have opened into the back of my refridgerator. I'm guessing maybe it had to do with hotel linen service at one time if that was the closet, but I was always intriqued by that slender door to nothing. There's a door in the conference room on the fifth floor here in the library like that, that once led out of what was an office, and since they decided to keep the wood panels and swanky stone fireplace intact, and basically redid the library outside and all around it. It's all very House of Leaves. Perhaps this why the Fine Arts geeks me out so much. I haven't discovered any secret doors, but I do have a mail slot in the door an old school transom above the door(I don't usually open it since it creates a wind tunnel effect when the windows are open and blows the art off the walls.) And I've always loved my 30's apartment building with it's peeling paint and clanky, leaky radiators (okay, those parts less so) but the floors and high ceilings are absolutely lovely. Today was a non-window seat sort of day, but at least a little warmer. Last night, I went home and crawled into bed without even eating dinner, so have spent the day mostly ravenous and without access to anything beyond vending machine or campus bookstore fare til 5pm. I am slowly working on finishing up the EMUuseum, plotting the design for Carol Guess' from the doll studies chapbook and starting layout on Joanna Penn Cooper’s Mesmer, and always still folding and assembling copies for authors and orders. I also bagged about 40 little muslin bags of bath tea, so the studio smells like lavender and chamomile, and tonight, intend to finish up the soap labels. It's nice to have extra hours there and not be rushing through to either get out before 10 (or have to take the creepy stairs all the way down) or have to leave to get to work. I'm not sure if the day shift is a good trade, but I'll survive. I'm a little foggier then though, so a bit less efficient. I always get a little creeped out when male critics, reviewing a female poets work (it seems especially rampant with younger poets) make reference to the poet's appearance in a way that I could never see female poets refer to male poets. I mean, I might say here that I think Nick Flinn is a hottie, but I wouldn't exactly work that into my formal review of his work. I was reading something I linked through to from someone else's blog-- a review of a female poet, and there near the end was the head pat-the "you're so pretty and impressionable, don't let academia ruin your work". I love the work in question, but couldn't help but dislike the tone, even if I agreed with the review overall. I guess it just struck me as innapopriate somehow and setting feminism back a few decades. The poet in question is undeniably gorgeous but I'm not sure what that has to do with the reception of her work in academia, whether or not she is taken more or less seriously. All last night the wind blew and blew, and today is blustery and snow filled, a spectacularly craptastic slap in the face after a teasing bit of spring. I am hiding in the apartment all day. I would prefer to be hiding in my bed under my down comforter, but it's getting a bit ridiculous how much time I spend there. I am going to find a movie to watch and make some jewelry. Or maybe write some poems. Or a letter. I've recently decided I don't write enough letters, which is mostly because everyone I would need to write to easily accessible via phone or e-mail if not in person. This makes me sad somehow, especially considering I sell paper goods. 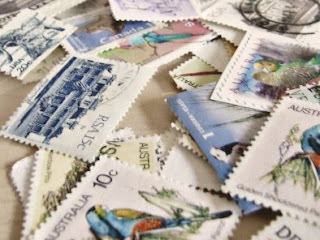 I also keep running out of stamps (not pretty vintage stamps, but the ones that actually work). 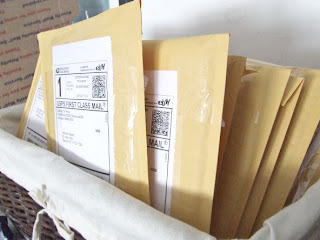 I am not using them on anything productive like submissions, but moreso on international packages I am too lazy to take to the PO and cannot print paypal postage on. It is strictly e-mail submissions these days, which feels less like a poem falling into a bottomless abyss and a little more like a tiny abyss. I am still undecided on whether I want to see the movie. Lately, TB movies seem so over-stylized and slightly annoying. Since I love most all things Alice though, I highly recommend this version,which is super trippy and lovely. There were tiny buds on the magnolias near the bus stop this morning, and finger-length growth on the tulips along Michigan Avenue, so I am happy and have been giggling over the word "twitterpated" all afternoon. Mostly, though, I've been working on tax stuff, and eating lemon cake, and moving things into a new little sketchbook. I always feel like I'm sloughing something off whenever I do that, losing all those useless bits and slips of paper that are going nowhere. I've been carrying the KD manuscript around in a file folder and trying to find gaps where things are missing, which seems especially urgent, maybe a need for closure that mirrors a very obvious and important need for closure in real life. Perhaps the other books were easier to finish because there wasn't as much ME in the poems. Perhaps there is too much ME in the poems. Perhaps there are still too many birds in them, even still, and then again today, another hatching itself in my head. They won't stop. In Brandi's Bobcat Country book, there is a funny line about changing poets into rabbits, and indeed there are even alot of rabbits in KD--also a fox and some deer, but thankfully no mermaids. 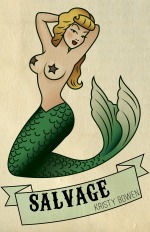 I have too many mermaid poems. Last night, I dreamed that there was an earthquake here in Chicago, a fierce one..something that started like a low rumble that could have been a train but ended in a jolt that made the building lurch like two feet to the left. My sister was lying on my couch (she tends to be around during disaster dreams) and kept insisting it had been a train or a truck and not an earthquake. I was looking out the windows at the firetrucks in the alley when the power goes out suddenly. Then, my mother was franticly calling my cellphone while I am trying to take a shower before all the hot water is gone forever (because yes, that would be apparently the WORST thing in the world, no hot water). I woke up a little panicky, though I didn't seem to be in the dream, where I seemed to just be accepting it as the sort of thing that happens. I'm used to floods and tornadoes, occasional fire, lots of plane crashes, but never an earthquake..probably becuase I don't really know what what feels like, though I imagine it would be much like that, the rumble and jerking suddenly in odd directions. As much as California has always seemed like this perfect place for me to live, I take enormous comfort in the fact that the earth below me is pretty much stable and isn't going to shift out from under me at any moment, at least in any literal sort of way. In 2008, I was so very good about keeping records of my monthly expenses, itemized by category (office supplies, postage costs, shipping supplies, art supplies, book supplies), mostly since I was going to be filling out the schedule C and filing for the very first time without help from dear old dad. Every month I tallied everything up so that at the end of the year, it was already done and waiting, ready to be totaled up and plugged into the form. Last year, admittedly, I got a little lazy and didn't do it month by month (or at least not every month) so now I have to go into each month's receipts and tally everything all at once before I can even start the forms. I haven't yet seen if we've actually made a profit yet for the year, but it's entirely possible. 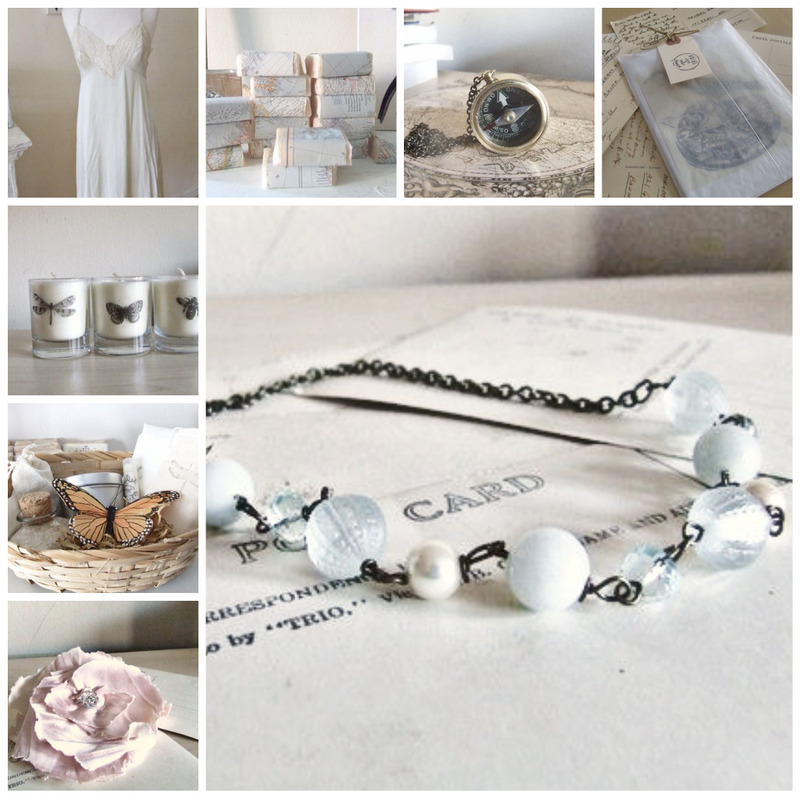 Book sales were up signifigantly, and there were the burgeoning soap sales, but vintage sales on etsy took a hit, which was the biggest moneymaker in 2008. It remains to be seen if selling more smaller items makes up for selling less higher ticket ones. Now to just get through the rest of it by the end of the month. Then I can spend the first 15 days of April remembering how to fill out the forms. For this year, the good news is that February sales were actually up from previous Februaries, both in the shop and the press website, which after last year of being down every single month from the previous year, is great news and hopefully an indication of good things to come. As a child who gew up under the influence of Madonna, everyone knows sometimes underthings are too pretty to be worn..well... under anything. This pretty, silvery gray slip/night dress was way too gorgeous to be hidden and just might work if layered over an a-line skirt and under a a cardigan. And while I probably couldn't wear those shoes without falling over, they are ever so lovely to look at. What started out as a postcard for tomorrow night using antiquarian bird images segued into a new banner for the shop, which sequed into a new banner for the blog, and then, on a whim, a tweaking of the www.dulcetshop.com homepage (which is what I use on promo non-poetry materials instead of dgp.com). It's looking very clean and simple, and it's good to see that my circa 2001 html skills are still up to par. I still can't play with CSS, so I had to go in and change everything by hand, but it's functional and only took about 20 minutes. It looks much better than it did anyway and goes with the blue (it's amazing how I haven't yet tired of that color in the last three or so years. 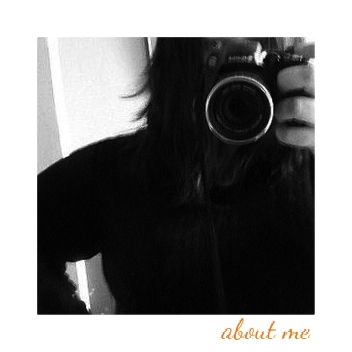 Before that it was chaging monthly.) There is actually a Mr French cardstock that is an approximation and I'm always trying to use it, which results in alot of pale blue books. 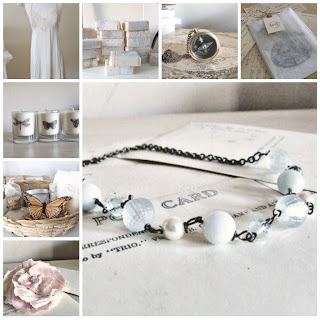 We will have a huge selection of poetry, pretty papery things, odd trinkets, and ungodly delicious bath goods & candles. I've been spending some early mornings in the studio, still catching up on a few book orders. I still feel like I'm flailing a bit in the water when it comes to getting things done in a timely matter, but it's getting done. I just finished up all the author copies and initial orders on the last batch and got them in the mail, and managed to get a little design work done on one of the spring titles. I had a productive weekend though, more flasks finished and I dyed a batch of slips in all sorts of springy green shades. 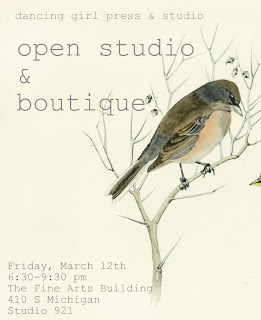 I am planning a open studio this Friday, and need to get alot of stuff done for that as well, things on cards and notecards packaged up and such, in addition to a big bookstore order on one of the chaps for a reading. I'm still battling this cold and the weather is sort of odd and humid, but chilly, though most of the snow has melted. Last night was a ghostly freaky sort of fog that obscured even the end of the block in front of me. Waiting for the bus, I couldn't see much beyond the intersection, much less that there was an entire city of towering buildings around me. Even the sounds of traffic and the el were muffled, the cars passing through through and vanishing again. I was a little off yesterday and coming down with a cold, so this is a little late. I was thinking the other day how nice it might be to lock myself away in some rambling French chateau to write for a few months away from all the distractions. It's a nice dream, but I don't think it's going to happen. Also I fell in love with that couch in a bad way. Lina ramona Vitkauskas’ poetry is richly textured and layered, a palimpsest pleasure. 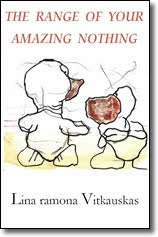 In THE RANGE OF YOUR AMAZING NOTHING, Ashbery and Superman, Lorca and Jacqueline Bisset, Nancy (the comic strip character) and Forrest Gander all coexist and inform her most amazing verse. 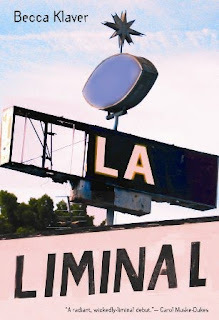 LA Liminal closely examines what lies beneath the “glatzy” spectacle of Los Angeles. Through the x-ray eyes of a failed Hollywood hopeful, with the advantage of distance and a sharp tongue, the reader gets a guided tour through an internalized, apocalyptic landscape. Transitional places and phases are imagined as both frightening and ripe, capable of producing a space where anxiety and creativity co-habit in the narrated realm of the speaker. Readers will enjoy the dryly personal tone, surprising refractions of language, acute sense of metaphor, and humor. Armed with these, Becca Klaver’s probing meditations and acerbic wit poke a careful hole through the scummy, glittering surface, to put a cocktail-ringed finger right on the humanity beneath it, until LA functions not just as synecdoche for country and national identity, but becomes a trope for personal identity, and more specifically, a feminine identity rebuilt from the wreckage of failure.